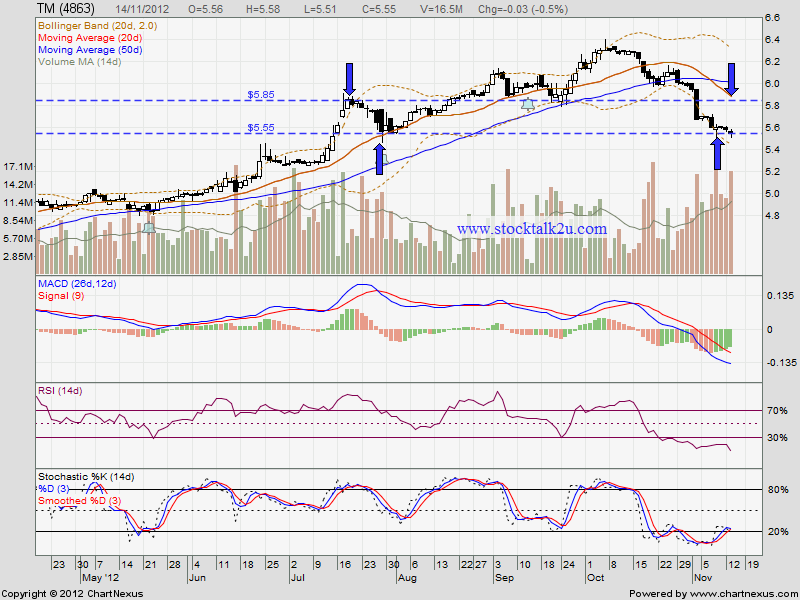 TM keep consolidate & retest RM5.55 support level. 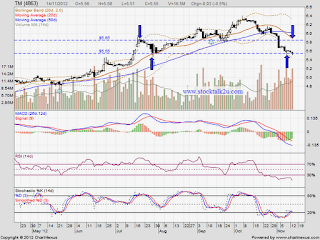 If technical rebound, high posibility will retest MA20 resistance level, whiich is RM5.85 level. Subsequent resistance would be MA50 level. Immediate support @ RM5.55 level. Subsequent support @ MA200, which is around RM5.30 level.